Biked Up, Pedal Powered was first delivered at Mintfest 2012 and is a bike-dance performance by local young street/stunt-bikers choreographed professionally with the Brewery. The music for the show is powered by the audience itself, pedalling adapted cycles which act as bike-generators. South Lakeland Action on Climate Change was awarded £500 towards the project aimed at young people in Kendal to encourage them to get involved in promoting climate change issues and shaping the future. The group works in partnership with the Brewery Arts Centre and Mintfest and recruits, mentors and trains a group of young producers. It builds on a previous cycling project through existing and new contacts in schools, youth clubs, the Performing Arts College and local housing estates. The project also includes the building and maintenance of a ‘big-battery’ of eight bike generators for this and future events. 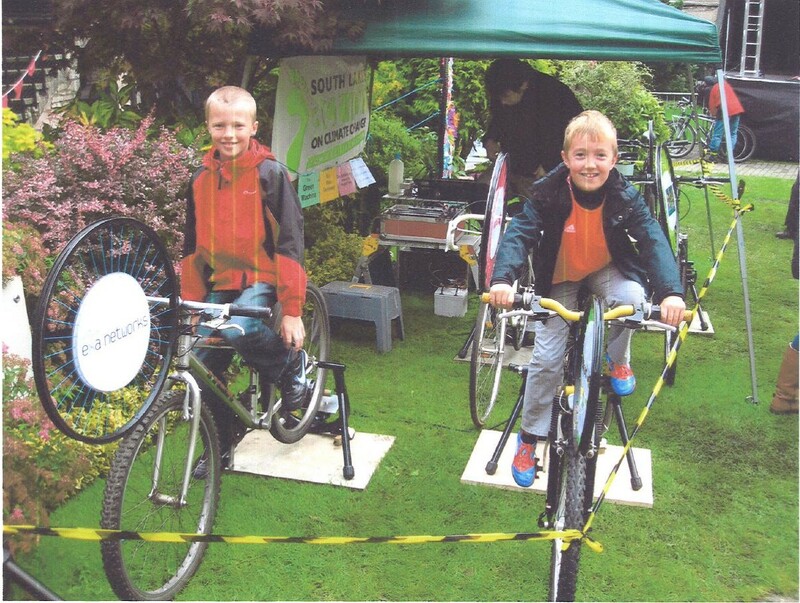 Mandy Barnett, Group Leader said: “The workshops and event exceeded expectations and the bike-generator was successfully built and goes on to be used. The participants were young people from South Lakeland, working alongside volunteers from SLACC and professionals from arts and community organisations. The project had a number of outcomes and achievements including: meetings held for young producers to help develop the project, taster sessions run at a school and Kendal Lads and Girls Club, a week of workshops for young people to co-choreograph the performance. We produced three performances at Mintfest and held two workshops to make props and costumes out of recycled materials.